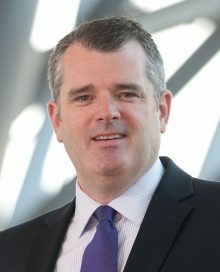 Ian Faris is responsible for the Ottawa Chamber’s overall operations, including advocacy activities with governments, stakeholder relations, policy, research, the development of member services and he acts as the spokesperson for the organization. He is responsible for the implementation of strategic priorities and activities identified and mandated by the Ottawa Chamber Board and its governance organizations. He is also a co-managing director of Ottawa Business Events, the partnership event company, producing events for the Ottawa Chamber and Ottawa Business Journal. Prior to joining the Ottawa Chamber, Ian was President and CEO of a national trade industry association and a senior executive with an international public affairs consulting firm in Ottawa, specializing in government relations and strategic communications. In addition, Ian has enjoyed successful careers in the corporate sector and as an advisor to two federal cabinet ministers. On behalf of the Ottawa Chamber, Ian is a member of the Boards of the Ontario Chamber of Commerce, Ottawa Business Events, Ottawa Employment Hub and Ottawa Tourism Development Committee. Ian is also the Past Chair of the Board of Directors of the Traffic Injury Research Foundation. Born in British Columbia, Ian graduated from Queen’s University in Kingston and is a recipient of the Sovereign’s Medal for Volunteers.